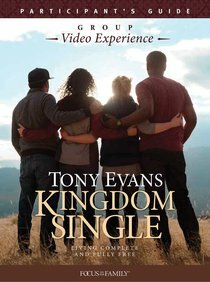 :This participant's guide for the video-based group study explores the message in the book Kingdom Single. It encourages singles to see themselves as complete in Christ and free to serve Him, and empowers them to live as Kingdom men and women in a morally corrupt culture. About "Kingdom Single: Living Complete and Fully Free (Participant Guide)"